Good Morning~ To start this beautiful monday, I will share some cute pictures for you ^^ If you following me on Instagram, maybe you already saw my picture with this baby. Recently, I got a new blusher from It's Skin brand. For those who don't know, It's Skin is one of Korean brand. Their "Baby Face" line quite famous these days. And today, I will review one of their item. 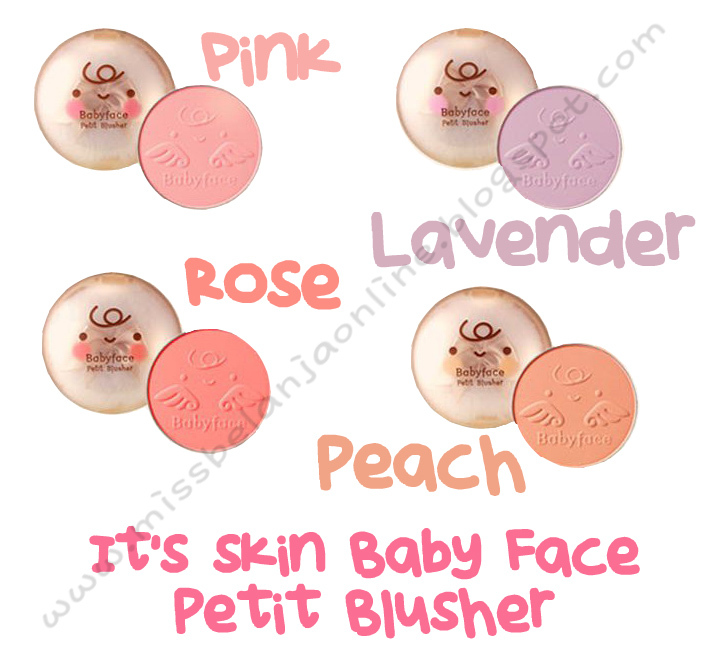 My blush called It's Skin Baby Face Petit Blusher. Creates fluffy and colorful skin tone. Like you can see, this blush has a very cute packaging. The most eye catching are the wings on the left and right of the packaging. Unfortunately it is only the outer packaging. When I remove the plastic wrapper, the wings are disappear too. The packaging is made from plastic and the shape is round. The cap was decorated with hair, eyes, mouth and cheek (the color of the cheeks are different depend on the shade) like a newborn baby. Super cute! Inside the pact, there is a little ribbon puff. I think this puff is useless because it is very very very small and hard to use. I do recommend you to use blush brush to apply it rather than the puff. But, because the puff is cute, I will forgive it for now~ lol. The powder was embossed with the baby's face too~ seriously super cuteee.. They emboss it quite deep, so after several used, I still can see the baby's face. The color is mixture between pink and red color. It has a soft shimmer which doesn't really appear on my skin. The pigmentation is quite good and this blusher doesn't have powdery texture. So, I'm not wasted so many products when I swipe the blush. I'll admit that I fell for it's packaging at the first time. But, after I tried it personally, I really like this blush. I like the color and the texture. 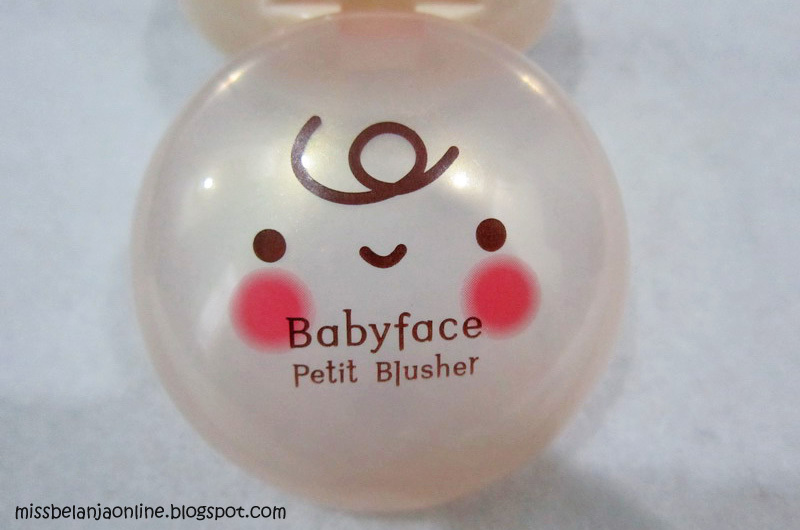 If you looking for something cute but useful, you need to buy this blush. You can get It's Skin Products (and another Korean Brand) at Beautybar2010. Mention "Miss Belanja" to get additional 10% disc with minimum purchase IDR 200k for all items. i love the color rose, such an intense shade!! and the packaging is super cuuteee!